in 2004. 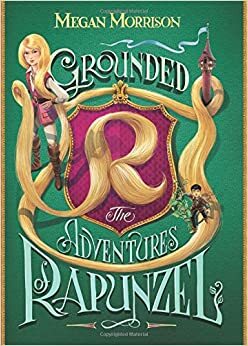 I liked its characters and action a lot -- Rapunzel descending from her tower against her will, and traveling across the land of Tyme with a thief named Jack -- but to my eye, it didn't have enough emotional and world-building depth to elevate it from "cute and smart" to "real and meaningful," and I thought Meg could do more with it. So I told her that, in a three-page editorial letter, and offered to look at a revision when she was ready. and in fact had been hoping for this e-mail for eight years--so I asked to see it again. for May.) Publishing it has reminded me yet again: Good things come to editors who wait. long before I was equipped to write it well. Life experiences – in particular becoming a mother and a teacher – were necessary. Not that those particular experiences are prerequisites for writing. Far from it. They were just necessary for me. They changed me in big, important ways, and strengthened me as both a storyteller and as a professional. My work ethic and my openness to criticism are vastly improved over what they were ten years ago. I have hardened and mellowed both, in the ways that I needed to.